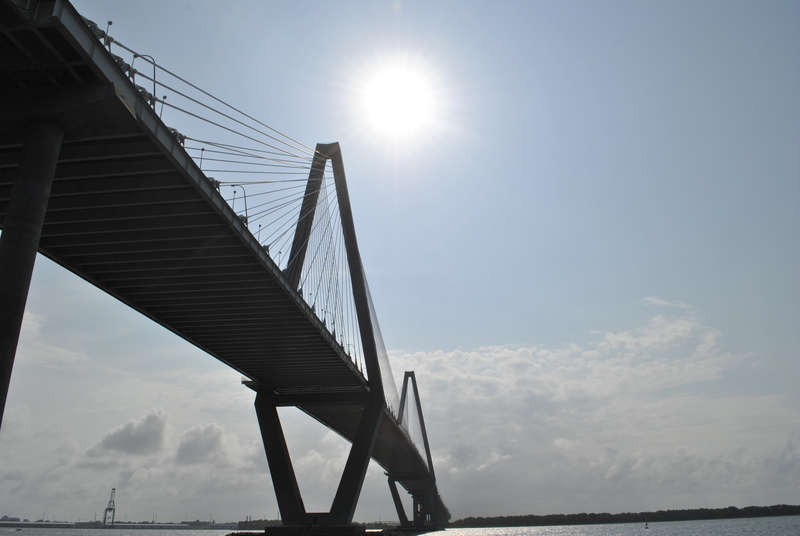 In the Lowcountry, we have the Ravenel Bridge, sometimes called the Cooper River Bridge, but most people just call it THE Bridge. It has it’s own website. 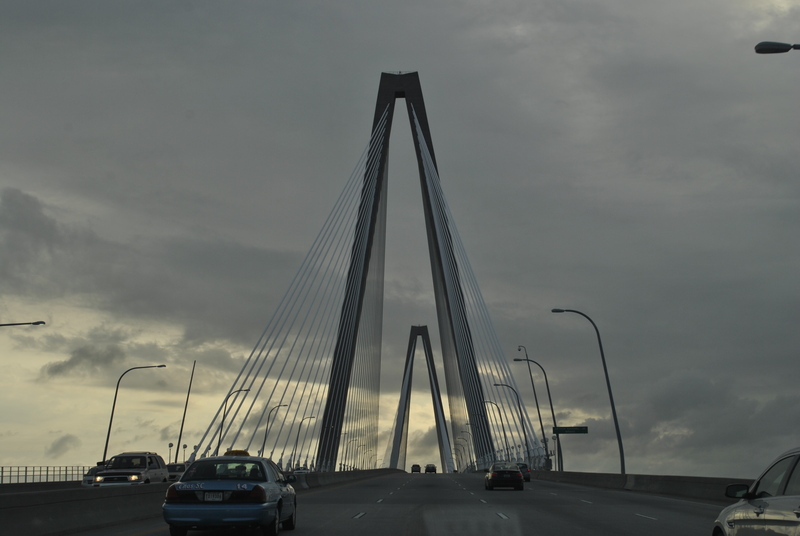 It’s a pretty bridge; it’s on a lot of Charleston merchandise, second I would say to Rainbow Row. People run on it – I even saw a woman running the steep incline part while pushing a double stroller, so the bridge obviously has magical powers. 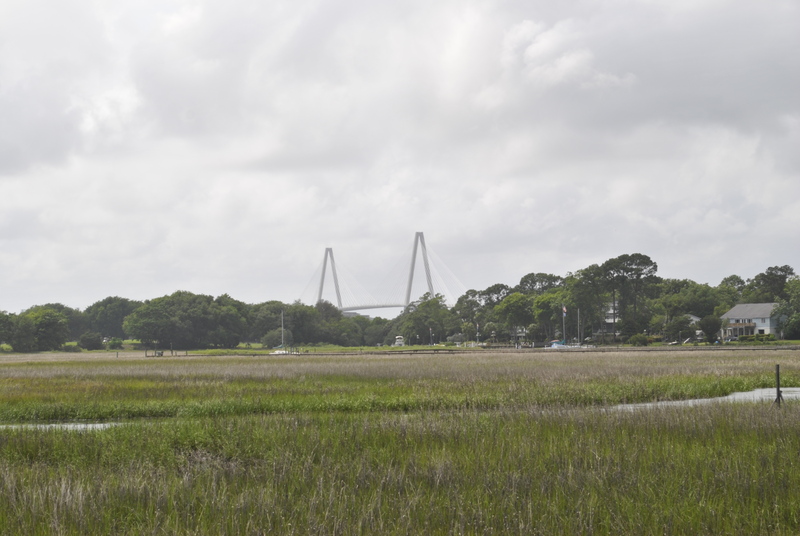 There is the Cooper River Bridge Run with some 40,000 participants (crazies, I say). We walked on it at 11:00 pm with 12 middle school girls wearing glow jewelry during a lock-in a few weeks ago. It has some pretty impressive views from the top. For us, it’s Pops and Grammy’s bridge because it’s the way we get to their house….you know, over the river to grandmother’s house we go. 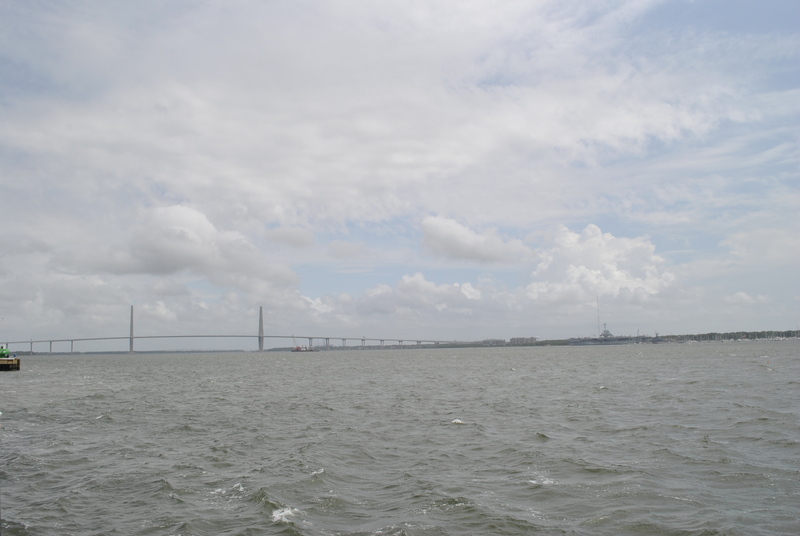 As we were out and about yesterday, we caught the bridge from several different locations. So glad you are back to the blogging world! You have been missed!